This is so true, have you ever looked at your data on the products you sell or the customers you sell to? The basic principal of the 80/20 rule is to limit tasks to the important 20% to shorten work time and maximize ROI. For RPMWare Clients, this means focusing marketing efforts more heavily on what you’re selling: specific part #s, specific brands or specific range of products. Think of it like this; the more time you have to complete a task, the more time it occupies and the bigger it becomes. The perfect analogy is the term paper you put off until the last minute. Remember how well you focused and executed on it? 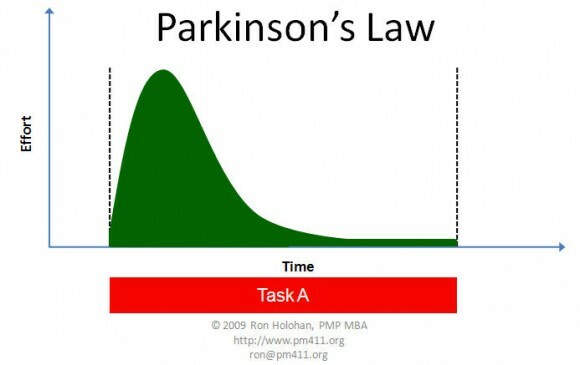 The goal of Parkinson’s Law is to shorten work time to limit tasks to the important. Basically we see an inverse of the Pareto’s Principal. By combining them you can create not only an extremely efficient way to work but a much more profitable and anxiety free way as well. So the goal would be to use Pareto’s Principal to determine the most profitable sectors of your business, then implement Parkinson’s Law to tightly focus on just those aspects. The combination will allow you be more efficient and more profitable while tightening the speed and efficiency of those tasks. Would love some feedback from you guys after you try this!